We love waking up to sale emails especially when it's from one of our all time favorites. Club Monaco just launched their Spend & Save Event today and we couldn't be more excited. Save 20% on orders $200+, 25% on $300+ and 30% on $400+ with code Summer. I've been a huge fan of Club Monaco ever since it first opened and what I love most about it is I never seem to tire of their pieces. I actually just wore a Club Monaco dress that I bought over five years ago. I think this dress will be one of those dresses, one that I continue to go back to for years to come. It's the perfect wedding guest dress! I also have my eye on this dress. Simple and perfect for summer. Something that I can wear with flat sandals during the day and dress up with wedges at night. Love the tie detail. I don't tend to wear black too often but this jumpsuit is beautiful- check out the back! 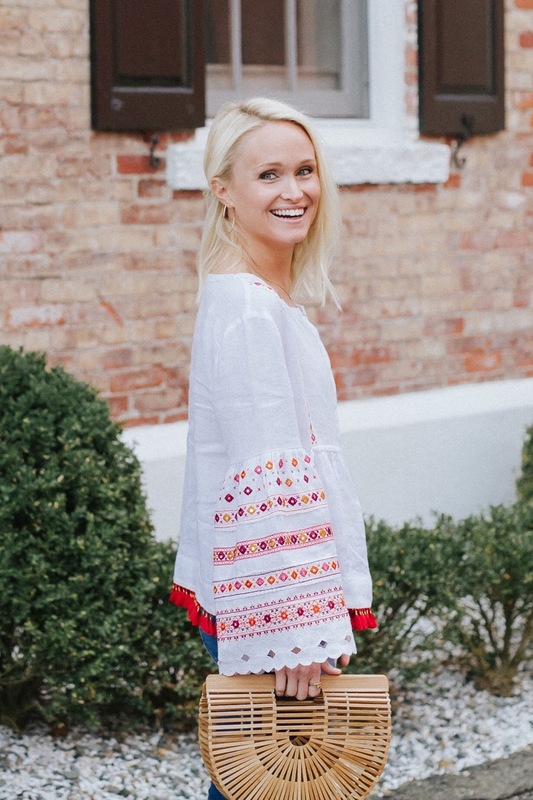 This top is also another favorite of mine that I've already worn a ton this spring. Pair it with light colored denim and you have the perfect summery look! And definitely be sure to check out their collection of swimwear- AMAZING!